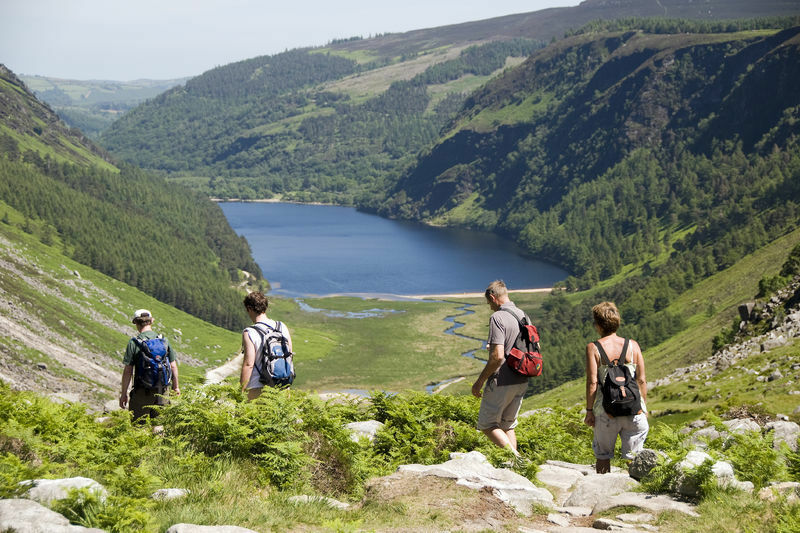 Price: €25 – Includes, Guided Walk, and Transport . Transport provided back after the walk. Terrain: Forest tracks, open mountain trails. About The Walk: Starting from the Car Park in Crone wood. 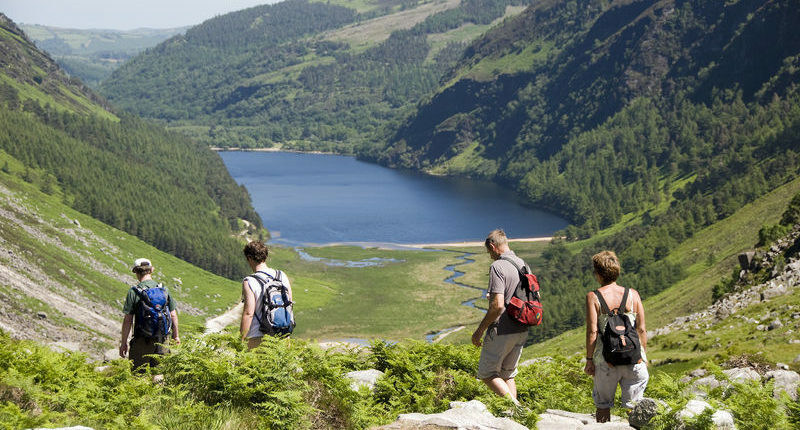 We will join the Wicklow Way through a forested track and out onto the side of Ireland’s highest Waterfall “Powerscourt”. Following the trail up and along this waterfall we come out to an opening and cross an old stone wall and onto a path leading up to the top of Maulin, where we can stop for some lunch. From here we will follow a ridge in an easterly direction towards a dry stone wall and follow this back down to the start of the walk. 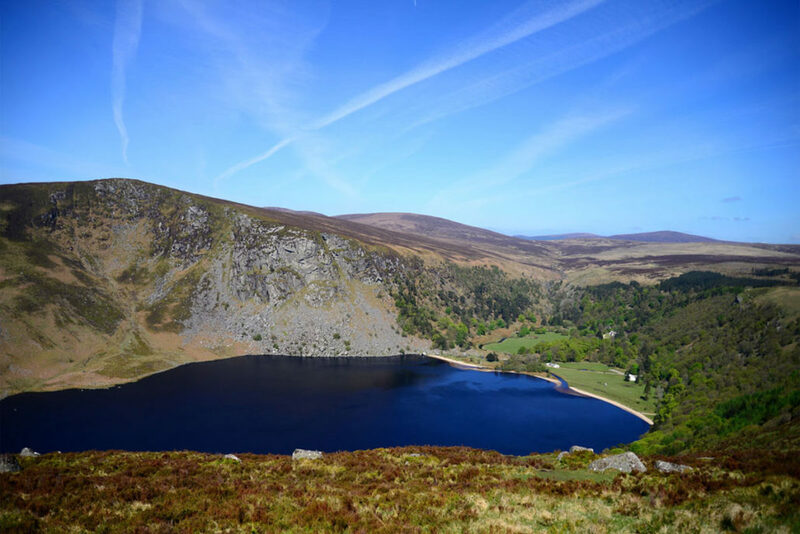 We will have excellent views across all of the Dublin Wicklow Mountains and the east coastline from the Mournes to Wexford can also be seen from here. 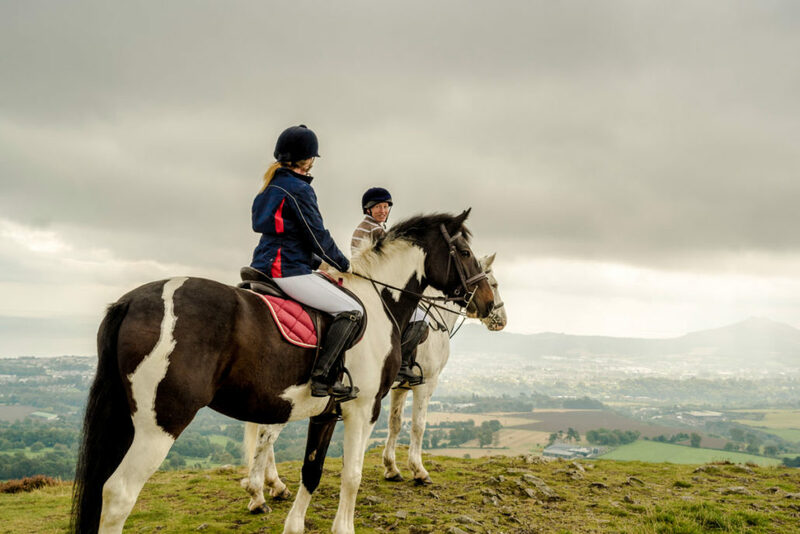 The man-made features in this beautiful part of Wicklow – dry stone walls, romantic little cottages, fields bearing the marks of long gone potato ridges. What to expect: Forest track, open mountain top, path. 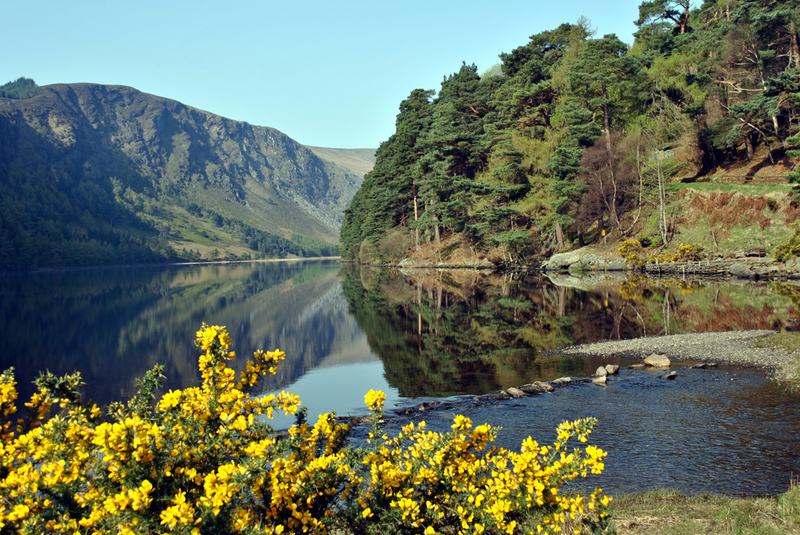 expansive views of Wicklow and South Dublin, East Coastline and Powerscerscourt Waterfall. 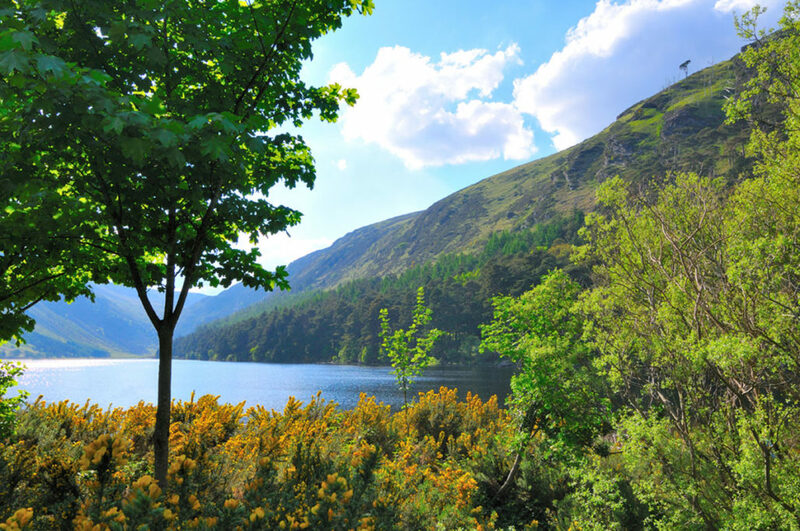 If you are driving from Dublin. 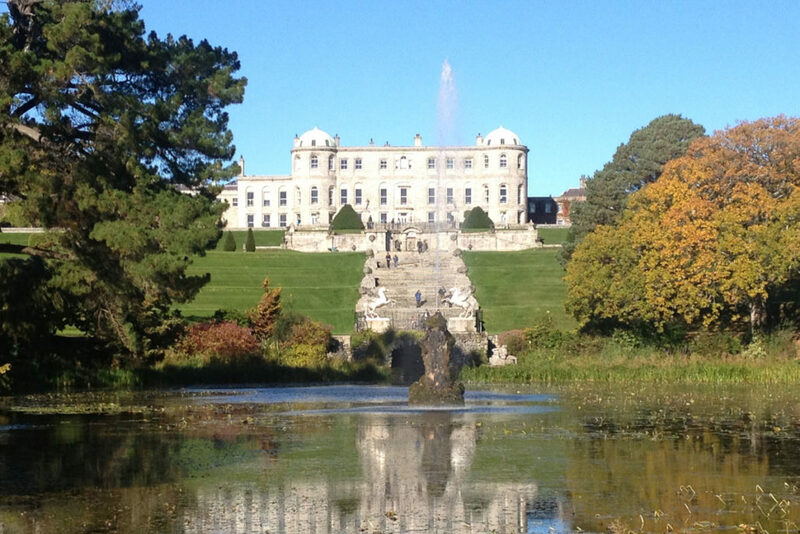 Take the N11 from Dublin take the turn for Enniskerry, the road crosses back over the N11 and then there is a slip road to your left which will bring you to center of the village and the clock tower where we will meet. What does your Transport look like? We use small white buses with “Hilltoptreks” written on them. The walk is approx 2 -3 hrs with a choice to shorten on the day.